H-madness editor Eric Engstrom has recently published an article on the “antipsychiatry”-movement in the 19th century on the web portal European History. 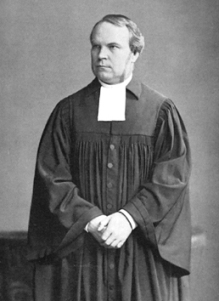 The photo represents Adolf Stoecker, court chaplain to Kaiser Wilhelm II and influential critic of the 19th-century psychiatry. You find Zur Geschichte der Psychiatriekritik im 19. Jahrhundert here.